Luckily, you don’t need to spend a fortune on designer furniture and lavish fabrics to create bedroom decor that has boutique hotel style. A lick of paint can be all it takes to transform a bedroom into a glamorous retreat. Deep jewel tones add a sense of exotic decadence to your bedroom decor. Use them on walls in matt finishes for a beautiful, soft effect, or go for gloss on a dressing table or chair to create show-stopping statement pieces. 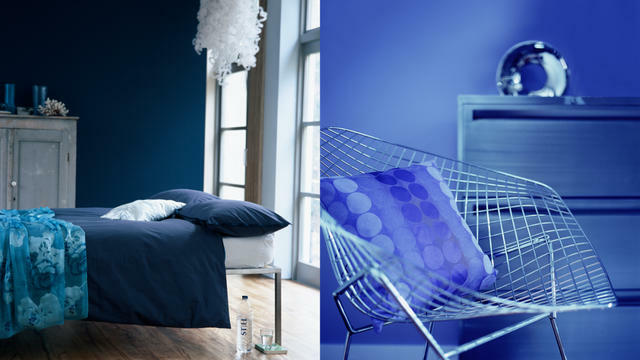 Take your cue from the night sky and paint your walls in darkest blue for a moody, mysterious bedroom decor that’s also inviting and cosy. Team with mirrored furniture to bounce light around the room and add to the glamorous feel. Pale, silvery tones give an elegant feel and can be accessorised with almost any other Dulux colour. Paint the wall behind your headboard in a darker tone for a strong, grounded look. Red Dulux colour injects instant drama into a room. In a bedroom, it’s a good idea to go for deep, berry tones which are subdued enough to be restful but rich enough to make an impact. Black and white look effortlessly edgy when used together. Choose one for your woodwork and the other for your walls for a smart look. If you’re feeling experimental, why not try out different paints colour combinations? 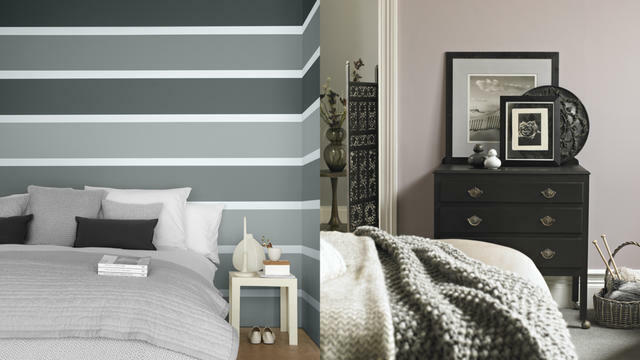 Stripes or an ombre effect that fades from black to white will give your decor cutting-edge appeal. Team white bed linen with plush throws and velvet cushions for an affordable finishing touch with boutique hotel style.